The Waco Police Department is looking for young adults who have a desire to one day becoming part of the Honored Blue Line. If you have an interest in a career in the criminal justice field and are in high school, the Junior Police Academy is for you! 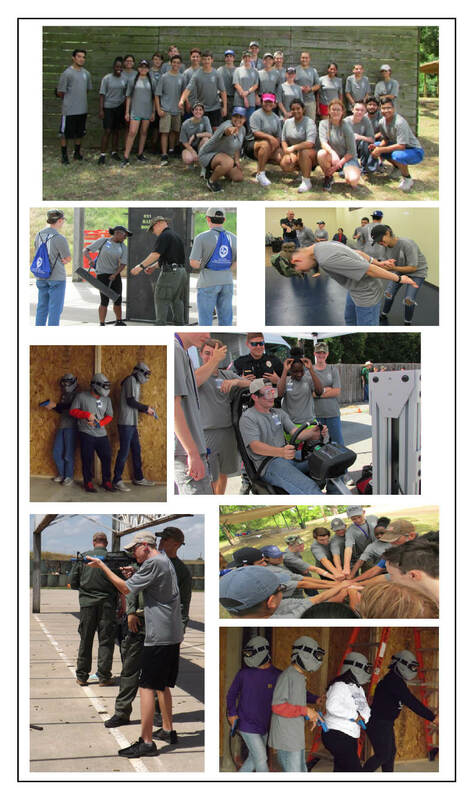 During your two weeks you will meet and train with officers in various fields within the law enforcement profession. Topics covered will range from training with SWAT officers, ROPES course, SFST training, obstacle course, team building events and more! - Must not have any criminal offenses higher than a Class C misdemeanor. - Applicants with any misdemeanor higher than a Class C, felony offense and/or on probation or parole are not eligible. Disclaimer: Attending the Junior Police Academy will not make you a certified peace officer. This academy is strictly for high school students to learn about the law enforcement profession.